As always, I feel fortunate to be able to go to Ireland. I'm hoping to post from there as much as I can...so I hope you'll come back to see photos, a video or two, and some other goodies I've got planned. 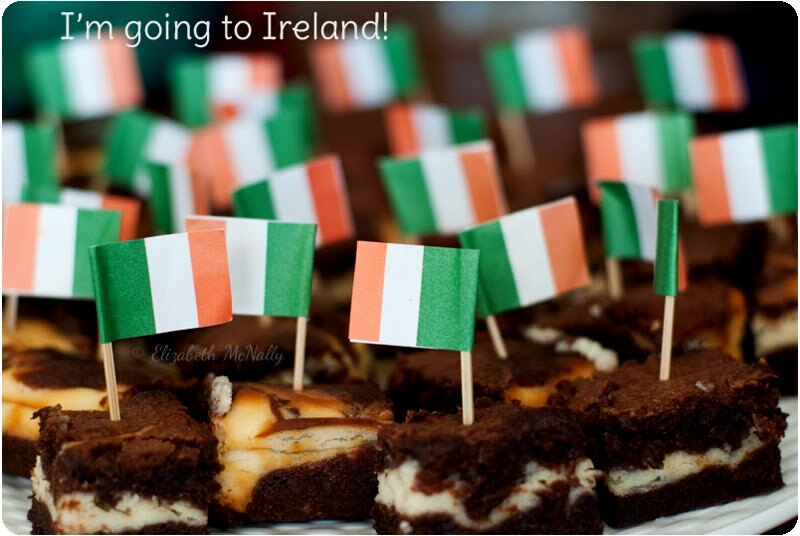 In the meantime, have a little taste of Ireland with these Bailey's Irish Cream brownies (link is on the left). Hey, you might event want to be adventurous and try some mint or caramel Bailey's in place of the original flavor.